Take 5 minutes to let us know what you need from us! * Have you donated to UT Health San Antonio before? 1 Which UT Health San Antonio topic are you most interested in? 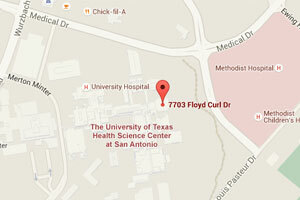 2 What would motivate you to support UT Health San Antonio? 3 What communication type do you prefer? 4 What level of knowledge do you have about Philanthropy? 7 Which industry or related topics are of interest to you? 8 How could we improve our efforts in alumni engagement? 9 Would you be interested in providing your expertise/ experience in your field with students in a classroom setting (as a guest speaker or sharing insight with a professor)?